Sometimes it’s better to keep quiet than to speak up in defence of ourselves when people misunderstand us or have been fed lies about us. Eventually, the God of truth will come to our defence and set us free. These thoughts have been on my mind for quite a while now. 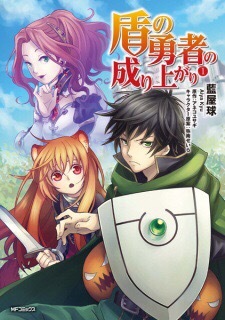 Incidentally, I stumbled upon a relatively new manga called Tate no Yuusha no Nariagari (The Rise of the Shield Hero) yesterday. The story tells of an appointed warrior who was framed by the princess, accused by the people of something he did not commit, and outcast by the king of the land he was commissioned to save. Despite being ostracised from being a part of a group of appointed warriors, he put his all into saving and protecting the villagers who thought ill of him. However, even after protecting and fighting the kingdom from an attack, there were people who still labeled him as a criminal and wanted to claim his most priceless possession. Of course, things worked out for him when the truth was revealed, when people realised his heart had always been in the right place and all those trash people were talking about him were false. He never did try to prove that he was right because no one would believe him, anyway. Who was he compared to the daughter of the king? But he persevered in his mission and came out a victor. If you find yourself in a similar situation, know that someday, the truth will be revealed and the Lord will set you free. For now, trusting in his protection is all you need. *Originally posted on my Facebook page on 23 May 2017.